Belize is the only English Speaking country in Central America, and while it has much things in common with the Caribbean island-states, the country is now increasingly more in sync with its Central American neighbors. In the past the majority of the population was English or Creole speaking African-descent Creoles – a legacy of its former status as a colony of the United Kingdom which introduced slavery to the settlement then known as British Honduras. Outward migrations of Creoles to North America, and the inward migration of Latinos following civil wars in the eighties in neighboring Guatemala and El Salvador, have upended the demographics of its once mainly Anglo-Caribbean architecture. Spanish speaking Latinos and Mestizos now comprise 53% of the population (2010 census estimates) but the country continues in a relatively peaceful path of socio political development as it finds its unique place as a bilingual and young nation state on the Central American Isthmus. The country has three official land border crossings, the first into Mexico at Santa Elena in the northern Corozal District, the second into Guatemala at Benque Viejo del Carmen in the Cayo District, and another crossing under development into Guatemala at Jalacte in the extreme south (contract for highway completion signed February 2011). Maritime entry and exit points are located at the north with Mexico, and at the south with Guatemala and Honduras. The only official port of entry by air is the Phillip Goldson International Airport at Ladyville near the old capital Belize City. Belizeans consist of the peoples and cultures of the Americas –bilingual Spanish-English speaking Latinos, Mestizos, who are of mixed Maya Indian and European ancestry and mainly speak Spanish, the original settlers the Maya who speak their own language, Creoles, who speak a Creole dialect or pidgin English and who are often of African and African-European extraction, and the Garifuna, who are the descendants of Arawak Indians and Africans. More detailed information on Belize Demographics. Formerly known as British Honduras, Belize was the UK’s last colony on the American mainland. Its independence was delayed until 1981 by long-running friction with neighboring Guatemala, which claims a large portion of its territory. Guatemala recognized Belize’s independence in 1991, but the neighbors have yet to settle their border dispute, which is rooted in colonial times. The two countries have recently agreed to take their dispute to the International Court of Justice but upcoming elections in both countries and the need of a simultaneous referendum on the matter have delayed this initiative as of March 2011. Belize has always had strong ties with Britain and the United States, but has recently also forged closer links with Latin American countries such as Mexico, Guatemala, El Salvador and Venezuela due in large measure to the inevitability of its physical location. Most of its corn, bean and beef production for example is exported to Guatemala and Mexico. Lobster and shrimp is exported to Mexico and the U.S.A., while sugar is exported to the U.K. and the U.S.A.
Due to economies of scale and the high cost of energy, Belize has evolved its economy and the service sector has overtaken agriculture, forestry and fishing. But the discovery of oil has placed this industry as a major source of foreign exchange. Belize currently exports 5,000 barrels of sweet-light crude oil every day, mainly to refineries in Costa Rica and the U.S. As the promise of more oil discoveries are on the horizon, it is looking to build a small refinery to produce its own fuel. Belize recently began to produce Liquid Petroleum Gas (LPG) and is now supplying 30% of its consumption thereby reducing imports from Mexico. Tourism is one of the largest sources of foreign currency. 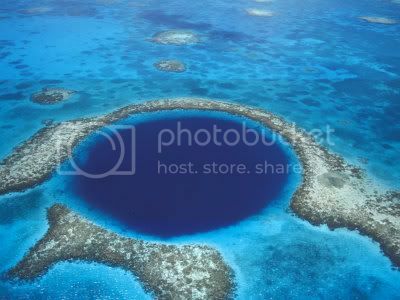 Belize’s attractions include its extensive rainforests, the largest cave system in Central America, major Mayan ruins (many still undeveloped) wildlife and the largest barrier reef in the Western Hemisphere, and three of the four true atolls in the Americas including the Great Blue Hole. More than 250 islands and beaches nestle inside the reef make for traditional sun, sand and sea attractions as well as world class SCUBA diving. • Political System: Westminster style two party democracy – general elections every 5 years.